A BladeRoom Data Center will leave the assembly facility with all MEP installed and tested, ready for final installation on site. The Air Optimizer dynamically supplies conditioned air to meet the specific IT demands of an individual cold aisle. In accordance with the efficient blanking system, this allows racks with loads in excess of 24kW to operate comfortably along with lower-density racks without the need for any kind of adjustment to the controls. A comprehensive blanking system is delivered with the BladeRoom whether we supply the racks or not. Blanks are available for both ‘u’ slots within the racks and full-sized rack panels to maintain air separation if racks are absent. This allows you to go live immediately with as few or as many racks as you wish to install. By removing the BladeRoom full-rack blanking panels you can populate each BladeRoom IT aisle with your own racks or cabinets as demand grows. 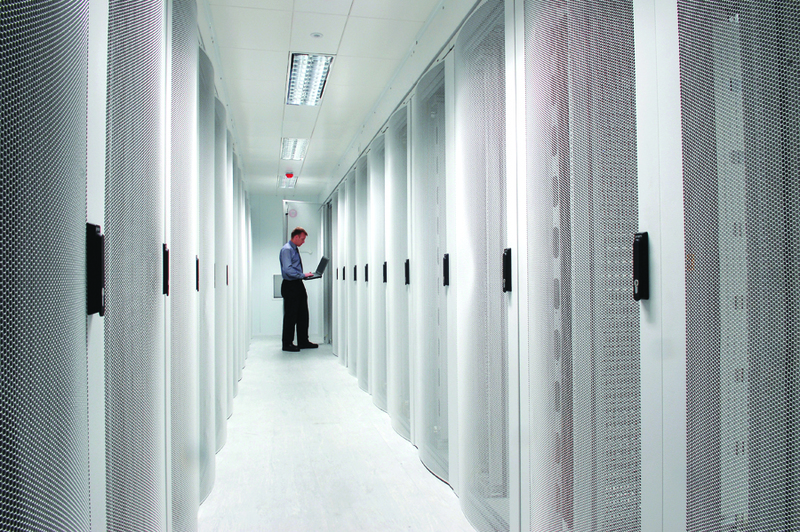 The nature of the modular BladeRoom Data Center system ideally lends itself to providing data center zoning, with areas differing in security depending on requirements. Access control measures can be agreed and implemented to enhance data center security. These may include CCTV, ‘on the spot’ security photo pass systems, card-swipe entry systems or biometric entry systems such as palm readers. We have extensive experience in producing structures for varying degrees of security. An active data center CCTV system is an option. Not just for security monitoring, the internal data center CCTV system allows close real-time monitoring of moving parts and status indicators in conjunction with the remote monitoring system. An internal data center CCTV system can be specified to work in conjunction with the BladeRoom Data Center’s integral monitoring system along with other monitored systems. A series of fixed and articulating cameras are strategically sited to give clear and unimpeded views of each IT corridor, supply and exhaust corridors, power management room, control panels, and key components inside the Air Optimizer. This gives any-time access to key read-outs, plant function and general operational activities inside the data center. The data center CCTV system can be fully integrated into the web-enabled remote monitoring system. Various options are available for data center power distribution monitoring. The BladeRoom Data Center power distribution monitoring system closely tracks energy usage and PUE, as well as maintenance and fault status on all critical components. 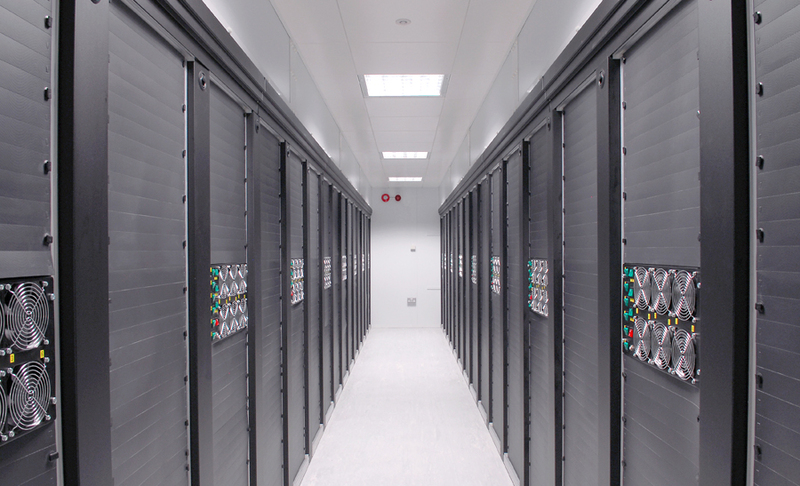 The BladeRoom Data Center integrated controls and monitoring system manages the Air Optimizer, the back-up mechanical cooling, and the damper-controlled ventilation systems. BMS control panels are configured to N+1, so that in the event of a failure of any part of the control system the standby control panel will automatically take over and operate the system in failsafe mode. BMS operation is fully visible through the monitoring system. 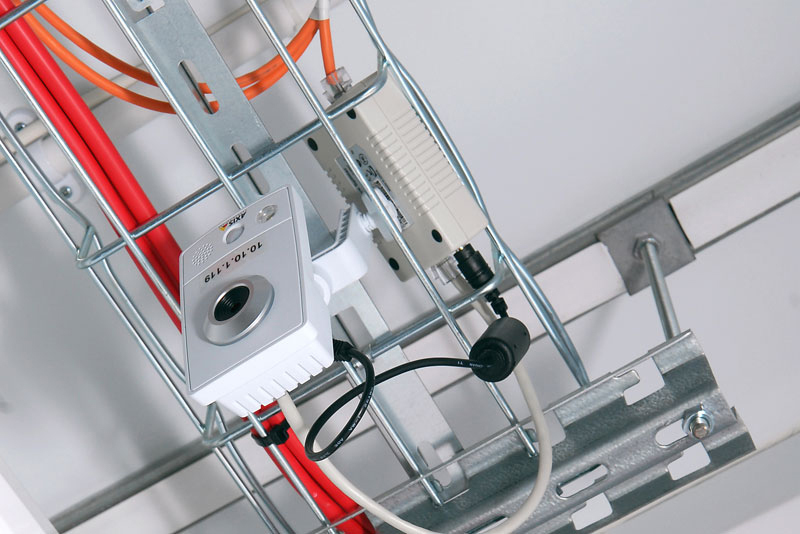 At rack level, if the option is taken, monitored tap-off connections to the busbar systems and intelligent A and B power strips are provided, enabling power consumption per rack to be monitored. A further refinement is outlet-level monitoring, which offers power and usage monitoring data for each individual server in the rack, as well as controlling external network access.